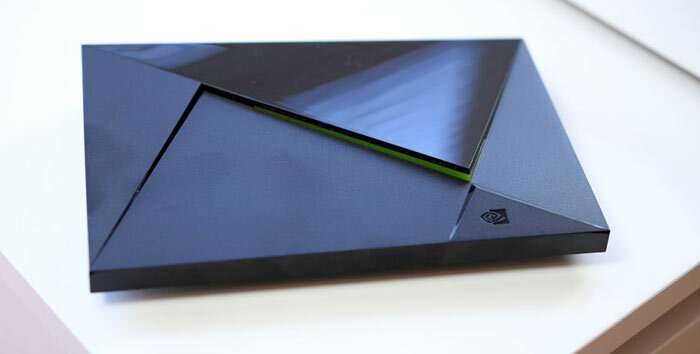 HEXUS first reviewed the Nvidia Shield Android TV set top box back in December 2015. Since that time it has subject to both hardware and numerous software updates. Probably the most notable change was the new hardware introduced at CES 2017, it remained largely the same in terms of tech specs but became much more compact, and introduced Google Assistant. 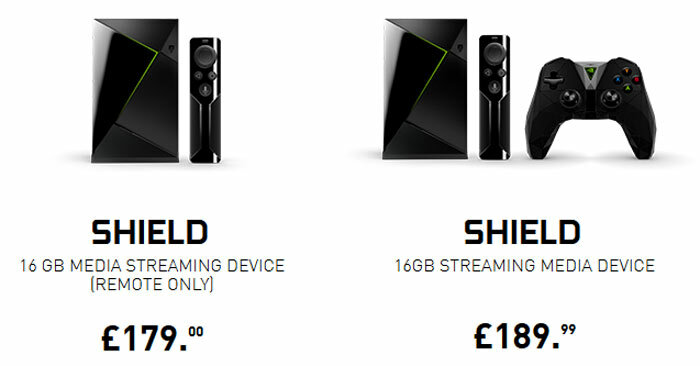 At the same time it also had a slight name change, from the Nvidia Shield Android TV to the Nvidia Shield TV. A significant software update has just started to roll out for Nvidia Shield TV owners. The update is based upon Android 8.0 Oreo. 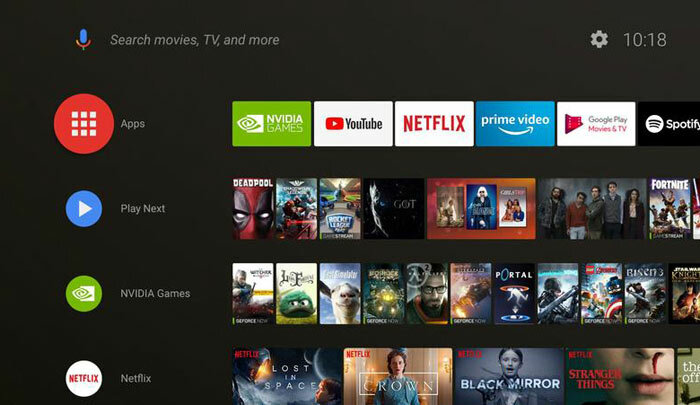 Users of Nvidia's streaming and gaming box have begun to be notified that the 'Shield Experience Upgrade 7.0' is available. The main change and the first thing you will notice is that Nvidia has bought a brand new home screen to the system. Where there was once a top row of large 'cards' which featured a mix of your recent media, content from Nvidia, and promoted content from Google, there is now a series of rows with smaller image thumbnails. Furthermore, it is all customisable, says Nvidia. Your Favourite Apps: You choose the apps and the order! Hold the Select button on an app to move it. To access all your apps, hold the Home button or select the red Apps icon. Channels: Discover new entertainment from your favourite apps. You choose the channels and the order. Navigate left on a channel to move or remove it. Note: Not all apps support Channels. There are some other notable improvements delivered with this Android Oreo-based update. For example, Plex users might appreciate the fact that you will be able to expand your media library onto USB attached storage devices. Elsewhere there is improved support for various games controllers, and high polling rate mice will be supported by Nvidia GameStream. Users are promised the latest monthly Android security updates too. There is quite a lengthy list of other tweaks, changes and fixes available on the GeForce forum, which you might want to visit if you own or are interested in buying an Nvidia Shield TV. Global rollout of the Shield Experience Upgrade 7.0 will take place over the next few weeks, says Nvidia. I'm interested…IN NEW HARDWARE. Until then, buzz off. Nothing new in 3yrs? Pfft…Waiting for NEW SOC, then I'll buy. I'd suggest 10nm or 7nm, and put it out at 100w+ box. None of this wimp console, time to compete with the big boys with android gaming on steroids. If you want to sell more boxes, make it worth it for gaming, which as it happens, is your actual specialty. The simple reason you don't sell more boxes, is you're NOT pushing gaming. There is a reason apple spends a lot of cpu silicon on the gpu side, and the same reason they own the top end market. Better gaming. I'm not sure why Nvidia isn't paying a few mil per game for exclusives (at least for a year or something), or outright buying small firms to create stuff for their platform so at some point they put out a PC and block x86 gaming for their cards. At 50-100mil per year they could get 10-50 exclusive titles and build it yearly so at some point you have a great gaming platform (no different than 7yrs on cuda before it owned everything worth owning…LOL). That is the business move especially with AMD/Intel deal on gpu already producing fruit (8809g shows what is coming). Time to make a FULL PC running android/linux (both hopefully) and force Intel to AMD only gpu ;) Ruthless? Sure, but that is business life and what business is all about. They could have killed consoles by now with an NV box gaining 25 titles a year that are worth buying a unit for. still confused why they are wasting their gpu on a tv only box basically. I already own 3 rokus and don't need another. I'm confused why they don't add gaming either (roku) - I guess you want to be stuck at 8mil boxes sold? This is why you need to move into tv now, you wasted your gaming move and everyone has STREAMING boxes today. ADD VALUE or end up a commodity; it's that simple. NV seems to think OS upgrades is all that is needed. Well that's nice, but not enough as the whole point of an NV soc is to game (some of us don't want grid, we want local gaming on android on steroids+streaming out PC gpu to it on TV also). 3yrs and nothing new in TV streaming box or handheld. I can wait :) BTW I'll wait again if you put out some other new wimpy box. I want 100w+ or you're wasting my time (that means gaming is good, but 25w? LOL). A second soc in this box is not more than $25-35 for NV, so why not give me that feature for more complicated games? Bought a 1070ti, but not willing to stream it to tv on ancient hardware. I'm at least as interested in android gaming on HDTV as I am in streaming PC to tv. Android gaming is pretty darn good already even without NV being in the game. There are 100+ games I want to play on a 65in TV but these slacker hardware makers are not making anything that could make me drool. Adding more support for controllers/mice etc is cool, but what for without games? WORK on smaller FUN games. Torchlight, Grimrock type stuff that is fun, engaging and great value for the money with a few big games along the way each year that perhaps hit 5-10mil. Nintendo games are all made for a few mil usually so follow that plan, where it's more about fun for now, cheaper game builds, then leading to full on PC type larger asset games over time as you utilize the hardware fully. My 2c. Get with it NV, or watch Intel soak your gpus if the AMD gpu based Intel cpus keeps producing stuff like 8809g and at some point CHEAPER than a skull box for $900. If Intel starts trying to fill fabs with HBM attached cpus (like 8809g) for desktop usage I think they can kill a few NV gpus with them and really hurt AMD who is much more vulnerable (1080p certainly in reach of HBM Intel cpus for most use cases and a 10nm version definitely moves here big time). Never mind the fact that they have said an Intel discrete version is coming too. Again a 10nm discrete HBM card from Intel could do major damage and intel can bundle etc to get more market out of it especially if its pretty good perf wise (should be watt wise). Still nothing coming through yet. Me neither and I really wish they would allow custom screen resolutions as I watch mine on a 1920x1200 monitor which I cant scale and the Shield TV only does 1080 so everything gets stretched which doesn't look very good. Same, I got mine just after Christmas, so they are either staggering the release by serial number ranges, or regions. Will try again tonight. Mine are mainly used just for Kodi so probably won't benefit by anything in the update, but the updates are so few and far between that it still feels like Christmas belly fizz.